Another sturdy manor house, Boling Hall, lies in Bradford, on the west of Leeds. The origin of this manor house is a fort built by the Bollings to prepare for the raid from the Scots in the 14th century. The present manor house, now a museum, was built in the 15th and 16th century and remodelled partly in the 17th and 18th century. This house also has a tale of a ghost and there is "the Ghost Room". The female ghost of this manor house saved the town of Bradford from an all-out attack of the Royalists during the Civil War. The tale says as follows. 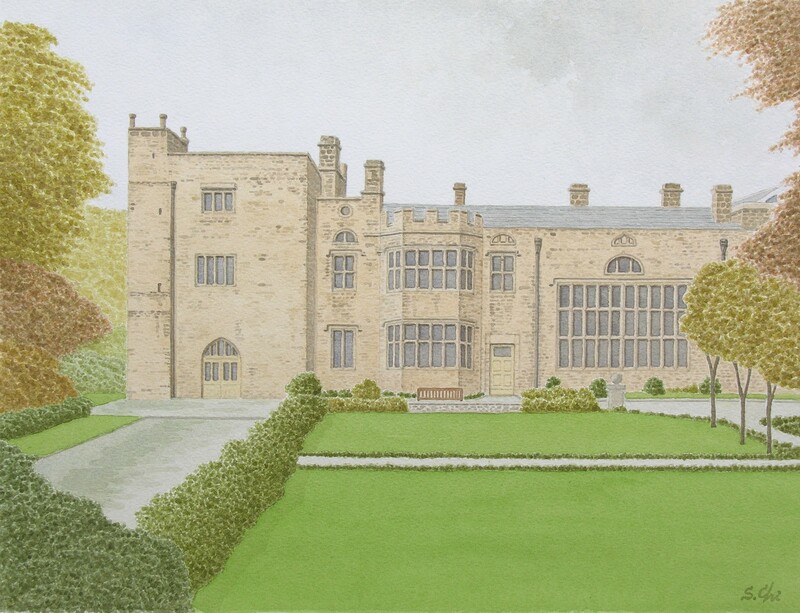 During the Civil War, Richard Tempest, a Royalist and the owner of Bolling Hall, offered the hall to William Cavendish, Earl of Newcastle as his headquarters for the siege of Bradford in 1643. The hall had a good view of the town and an appropriate place to command the siege. Brad ford, a small town, a little more than a village, did not readily surrender, supporting the Parliaments obstinately. One day getting angry, the Earl of Newcastle ordered his troops to raid the town and to kill everyone including women and children the next day. At the very night, the Earl was woken up by a female ghost stripping off the bedclothes. With her terrible look, she wailed "Pity poor Bradford", wringing her hands.The Earl, being so frightened, withdrew the order at daybresk. The room where the Earl stayed has been called "the Ghost Room". 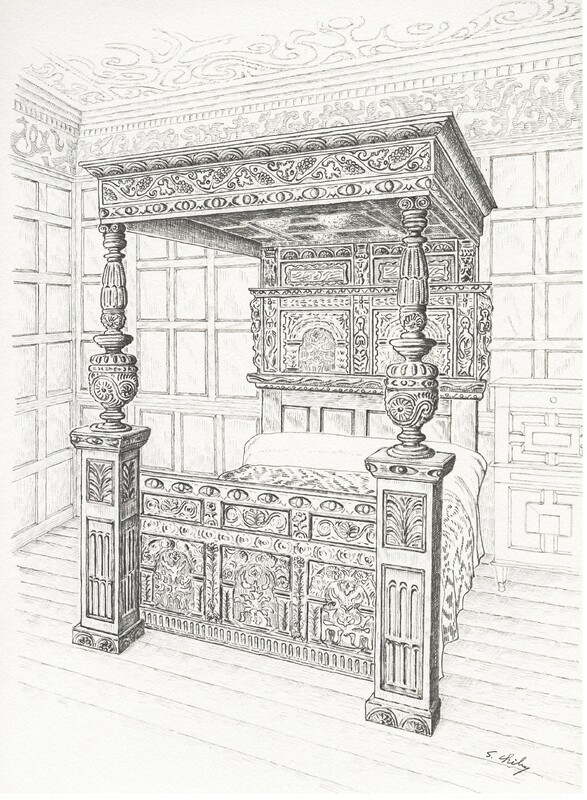 I was able to see a lot of old furniture of the 16th and the 17th century at Bolling Hall and at other manor houses. 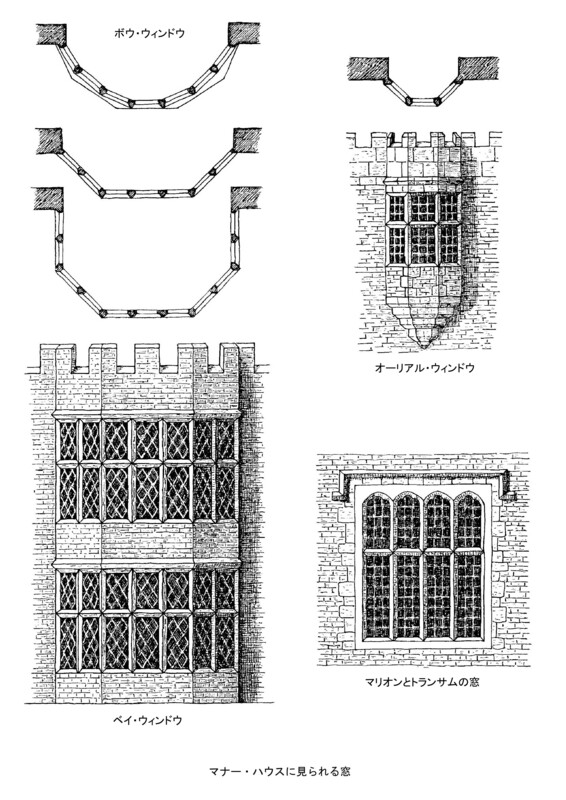 The Elizabethan and Jacobean panelling and furniture such as fourposters and chests made of oak attracted me very much. The dignified decoration and furniture of these interiours are the zenith of English decoration art, I think. There are several small museums which used to be manor houses near Bradford. Shibden Hall, lying in the east of Halifax, 6 miles on the southwest of Bradford, is a beautiful half-timbered manor house built in the early 15th century. Oakwell hall, near Gomersal, 5 miles on the southeast of Bradford, is a Tudor srtone house dating back to 1583. It is said Charlotte Bronte described this house as "Fieldhead"in her novel "Shirley". Red House in Gomersal, a mile to the west of Oakwell Hall, which was built in 1660 with red bricks, hence its name, is associated with Charlotte, too. She made friends with a daughter of Joshua Tayloy, the owner of the house, when she went to school at Roe Head, and she had spent weekends often at Red House in the 1830s. She also described this house as "Brianmains" in "Shirley".